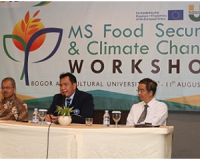 Bogor Agricultural University (IPB) once again accomplished an achievement status as a sustainable campus. This award was awarded to IPB at the UI Green Metric in 2018 at University of Indonesia Convention Center on December 19th, 2018. This time, IPB is ranked 2nd in national level and ranked 40th in the World. The rating is based on six main categories, namely setting infrastructure, energy and climate change, waste, water, transportation, and education-and-research. Notably, 17 main pillars of Sustainable Development Goals/SDGs are additional criteria in the assessment. During this awarding ceremony, there were 719 universities from all over the World registered in the UI Green Metric 2018. 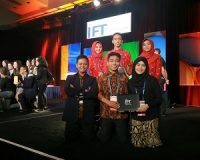 In Indonesia alone, there were 66 universities participating. Through this process, universities that are registered in UI Green Metric are recognized the status of sustainable campuses. 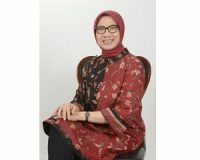 Not only is it a slogan as a sustainable university, but it is also expected to become a growing–behavioural habit for its academia to keep on taking the best care of the environment. 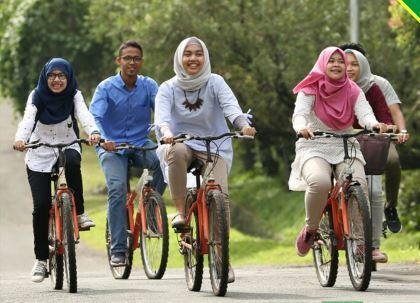 As an agricultural campus, IPB continues to strive to become a ‘green’ campus. 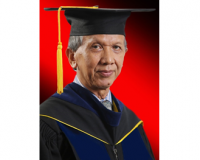 Dr. Muhammad Dimyati, M.Sc.—Director General of Research and Development Strengthening, Ministry of Research, Technology and Higher Education of Republic of Indonesia stated that universities contributed an important role in advancing science and technology in Indonesia; notably in relation to realization of the 17 SDGs pillars. By conducting sustainability measurements of a campus, it can support the community to participate in realizing the pillars of the SDGs. He declared that UI Green Metric shall be echoed throughout the World, so that the future leaders of the nation, who are graduates of the campuses, would possess the provision and always apply sustainable lifestyle. For this achievement, Rector of IPB, Dr. Arif Satria expressed his sincere and greatest gratitude for the aspiring members of IPB for the worthy contributions and to encourage for the promotion betterment on sustainable lifestyle throughout campus.